The search process is very time constrained; you will inevitably run out of your own money or, for funded searchers, your investors’ money. Two years might seem like a long time, but it goes by very quickly while experiencing lots of failures and disappointments along the way. To make the most of your search window, you need to focus on efficiency. Developing the tools and techniques to get in front of more sellers, to make numerous offers, and to achieve many LOIs will give you the best chance of getting a deal done. Establishing process discipline during your search will also pay dividends later in the operation of the business you acquire. From day one of your search, building a framework for “how things get done” gets you off on the right foot. A few searchers establish a 6-day work week and view the search as a “sprint” to the finish line. Others plan their daily working hours and hold to that schedule, knocking off at 6:00pm or sometimes later if they are conducting a national search. Don’t let inefficient or ineffective processes linger. Assess your progress with regular weekly and monthly reviews with your interns, to examine the root causes for missing your targets, and to make process adjustments. Don’t be afraid to experiment, but be quick and brutal in your evaluations. While the CRM you select may be critical to your prospecting activities, your calendar application can help you with planning and prioritizing your days and weeks. A shared Google calendar can help you coordinate activities with your team. Other calendar applications to consider include Sunrise Calendar used by Andrew Mondi at Lyndhurst and calendly.com recommended by Cisco Liquido at Montserrat. The biggest challenge with so many things to do each day, is establishing priorities, and then acting on those priorities. Rigorously managing your own search actions is personal, and can be accomplished through your CRM, favorite task manager, or even a spreadsheet. Some searches color code their important tasks in their calendar or to-do list while others have simply written them on a post-it note attached to their monitor for each day. Keeping your search team organized is more challenging. Delegating actions to interns, and aligning their priorities can greatly improve your search effectiveness, or, if done wrong, can lead to chaos. You will need to upgrade your organizational tool, and also your alignment process to get the most out of your team. Keeping to-do lists visible and shared with your intern team helps keep everyone driving for the same goals. A weekly team meeting is a great place to evaluate performance, and make changes. The task manager in your CRM may be a good tool to manage multiple interns and their overlapping priorities. One searcher developed a simple priority system for delegated actions – ‘1’ for actions to be completed on the assigned date, ‘2’ for actions to be done within 2 days of the deadline, and ‘3’ for actions to be completed within a week. Pair such a priority system with another code for urgency/importance, and your search team members will have an excellent opportunity to focus on the right things at the right time. This is a practical application of the “Eisenhower Box/Matrix”. An on-line meeting/phone call scheduling system can be used with interns, brokers or even sellers to show your availability and reduce inefficient calendar coordinating. youcanbook.me is a free tool that can coordinate with your google calendar. Avoid the “Email as a to-do” list which often ends up as a LIFO system and may have you focusing on just the “latest” things instead of the important ones. Ben Murray of New Forest observes that “simply experiencing the “energy” that the interns bring when they walk in the door helps boost my own productivity.” Delegate as much as you can to them in order to keep you focused on seller discussions and one-on-one dialog with investors, bankers and your lawyers during the IOI, LOI and Due Diligence processes. Task the interns with monitoring your own efficiency. Reminding you when phone calls go too long or when you are “chatting” too much should be encouraged. Assign one of them to manage all of your broker activity, including assessing CIM’s and making offers. Cultivate a “lead intern” to take on responsibilities for daily assignments, metric tracking and recruiting of all your interns. Ahmed Makani of Arzoo takes time out every Friday for an hour to “teach” a relevant case to the interns. He finds that the interns look forward to it and it gives him a break at the end of the week. It also serves to keep the interns motivated while doing their more mundane tasks like licking envelopes, researching email addresses or digging for prospects. Developing techniques to “get to no” with prospective sellers can dramatically reduce wasted time. Sending out an NDA in advance of the first call with a seller is a great way to start building trust and setting the tone for the process of basing an evaluation on their historical financial data. Avoid convincing yourself that you should keep listening to a long-winded seller with the objective of learning more about their industry. 15 minutes is all you should need. You will have plenty of time to hear what your interns develop about the industry as you get further into the Due Diligence phase. Too many searchers waste valuable time on the phone before they have qualified the seller. This is another opportunity to challenge your interns to watch your phone call lengths and when they are becoming non-productive. Use a timer when you begin a phone conversation. You will be surprised how this can affect your phone efficiency. Posting your prospecting leads for all to see will help drive you to get prospects “off the list” when they go cold or you are waiting for more data from them. You don’t want them to last very long on the “urgent” list. Focus on getting your velocity through the sales process higher. Again, many CRMs have a sales pipeline feature that allows you to organize and track prospective deals, and also automate actions through the sales process. Getbase is an effective and inexpensive on-line CRM. Corresponding with brokers either through your interns or by email is much more efficient than by phone or in-person. 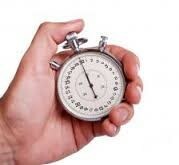 If you have enough time to be speaking with brokers, your pipeline needs to be generating more seller prospects. Phone outreach to brokers or seller prospects is a sure sign of a search that has an inefficient prospecting process. Goldman Sachs can afford to pay their associates for outbound calling, you do not have time or resources to do that. This is where your CRM can drive your productivity up. Set up follow-up contacts, record outbound email/snail mail campaigns and inputting notes about your discussion with prospects is critical in establishing trust with all of your contacts. Following some habitual patterns may help keep your mental sanity during this very stressful process. Leave the office at a set time each day, or develop a transition routine like listening to a favorite radio program, as Andrew Mondi of Lyndhurst does. Clearing your head regularly with a walk or a bike ride can be a wonderful ritual. Establishing boundaries and blocking out time for family or your significant other on a regular basis will help establish a pattern that will help with regulating your time once you close on a business and are operating it. The search process is very sedentary and eating less, and more nutritionally, becomes a necessity when you discover that you have put on 10-20 pounds 6 months into your search. Adam Barker at New Forest cut back on breakfast and lunch to reduce calories. Many searchers adhere to a strict exercise program to keep the pounds off and break up their days. Don’t forget to take care of your interns. Sean O’Neill at AltEquity regularly takes a break to play Ping Pong in his “incubator” space. Building some distractions into your weekends also helps you stay away from the “constantly on” feeling that search provides. Finding a team to coach, or teaching Sunday school, or volunteering for a non-profit can help you keep perspective and in touch with the world outside of search! You own this process and every search is different: if it is not working for you, break it and make changes. Don’t hesitate to use technology, the secret weapon for SME’s and take a leadership role on implementation. Many of these skills will serve you well when you achieve your dream of owning your own business. I would highly recommend the Gmail plug-in called STREAK. It allows you to “snooze” and track your emails. It is great if you want to use your email inbox as a “to-do list”. Snoozing your emails allows you to clear your inbox and to avoid the LIFO risk that Jim mentions. Less important emails are removed from your inbox and reappear at the date you specify. Very efficient and powerful if you want to make sure you focus on the important tasks and never forget to follow up with business owners. Great article, also.. I am using HUBSPOT as a CRM. Its great because its free, easy to use and customize.